Free Shipping Included! 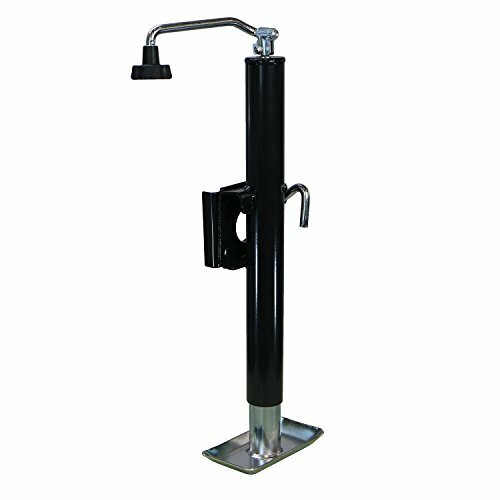 RanchEx 102812 Flange Trailer Jack - Weld Mount Top wind 2,000 lb Lift Capacity 15'' Lift Height by RanchEx at The Mirror Project. MPN: 102812. Hurry! Limited time offer. Offer valid only while supplies last. The RanchEx Top wind Flange (weld) Mount Jack is precision-engineered with a smooth turning handle, dependable inner screws and rugged foot plate. The RanchEx Top wind Flange (weld) Mount Jack is precision-engineered with a smooth turning handle, dependable inner screws and rugged foot plate. Has a 15" lift height, 3,000 lb. static capacity and 2,000 lb. lift capacity. You can trust RanchEx to provide durability and reliability for all your farm, ranch, and home and garden needs.